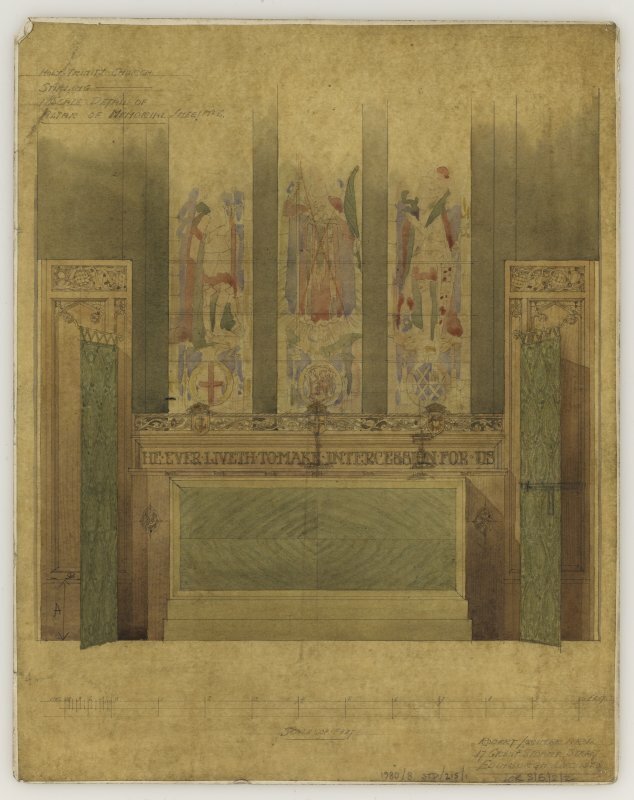 Mounted perspective sketches of screen and memorial screen, Holy Trinity Episcopal Church, Stirling. 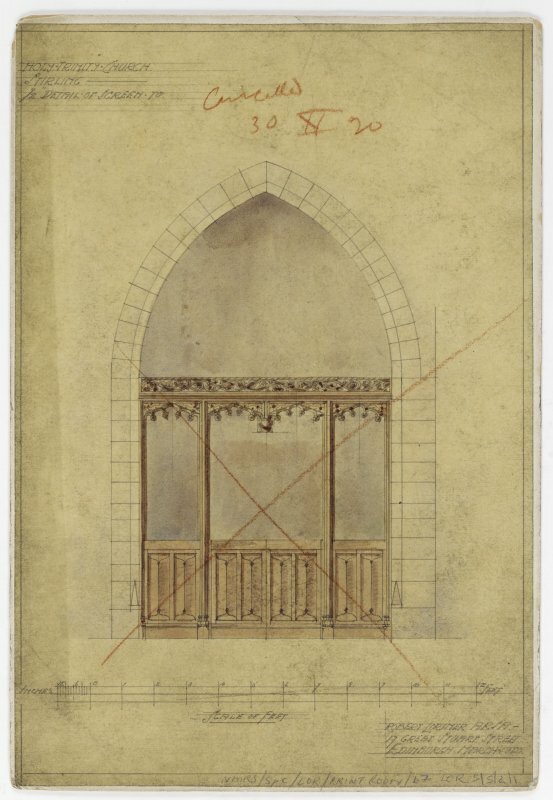 Mounted perspective sketches of screen and memorial screen. 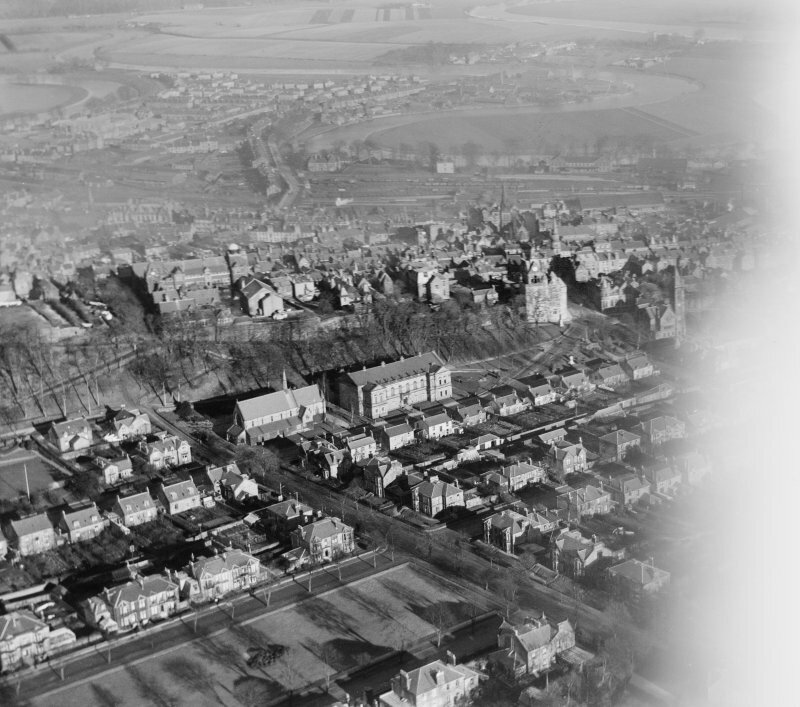 Stirling, general view, showing Town Wall, Albert Halls and Holy Trinity Episcopal Church. Oblique aerial photograph taken facing north-east. In 2011 the National Association of Decorative and Fine Arts Societies (NADFAS) presented RCAHMS with a record of church furnishings for Holy Trinity Episcopal Church, Albert Place, Stirling.